Home » All Posts » “Hassun (八寸)” should be enjoyed by taste as well as its presentation. “Hassun (八寸)” should be enjoyed by taste as well as its presentation. 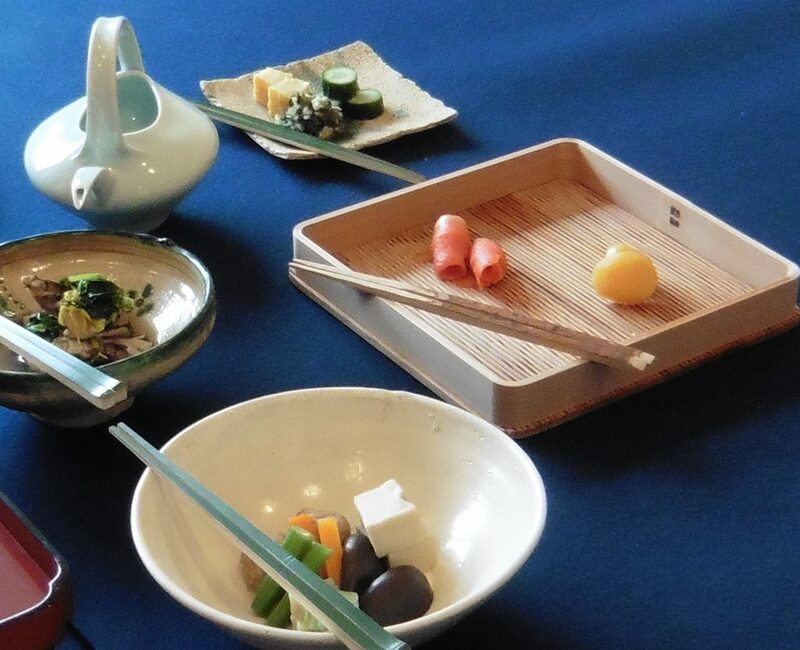 In the tea ceremony meal, it is accompanied by sake as the host pours a bowl of sake to each guest and conversely the guets to the host. The “Hassun” dish consists of an assortment of delicacies from the mountain (plant-based) and the sea. 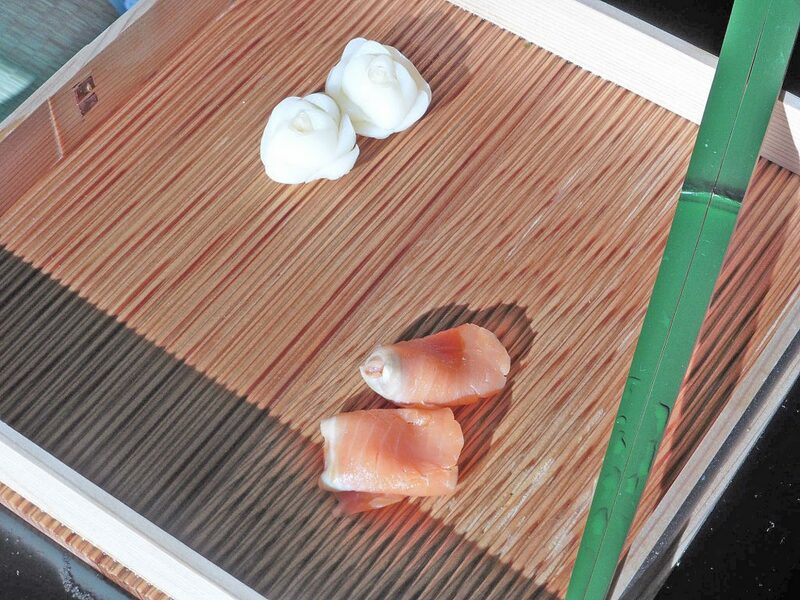 The wooden serving tray and chopsticks, placed diagonally, should be moistened with water. 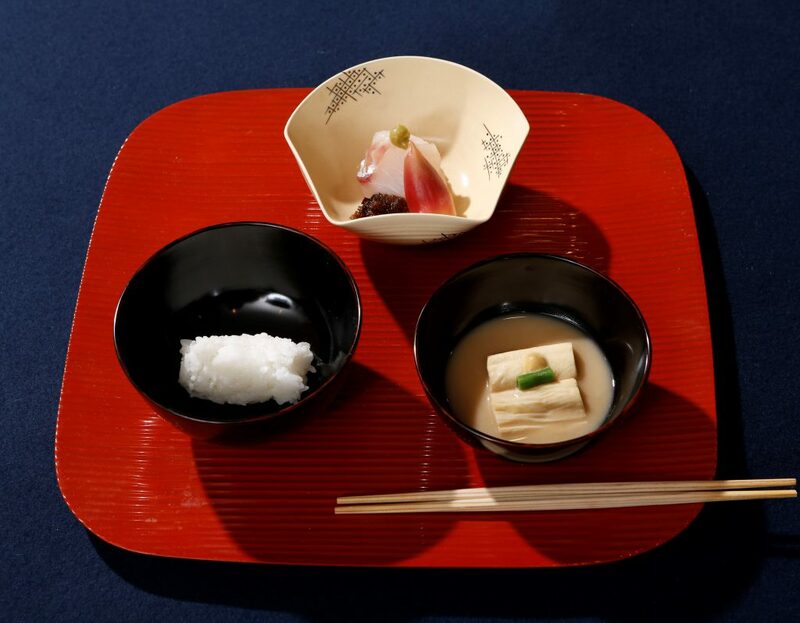 This subtle presentations gives the pure and clean impression in kaiseki meal.